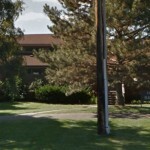 Two rulings issued by the Zablo Beis Din were upheld in a supreme court ruling this past Tuesday, but other claims regarding the control and operation of the Crown Heights Vaad HaKashrus were sent back to the Zablo. Among the issues yet to be resolved by the Zablo are the validity of R. Braun’s Smicha, as well as control of the Vaad Hakashrus, which for the time being will remain under the control of Rabbi Avrohom Osdoba. 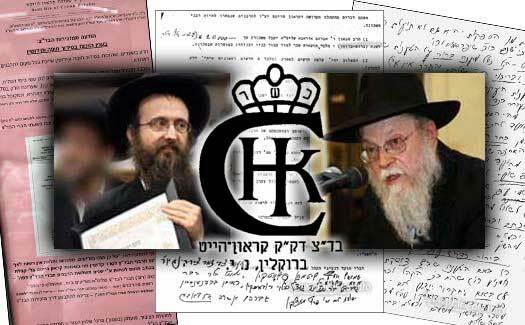 Earlier this week, on October 5th, 2013, the honorable judge Karen B. Rothenberg issued a seventeen page ruling on matters and claims pertaining to the Psak that was issued by the Zablo Beis Din, headed by Rabbi Avrohom Boruch Rosenberg. The primary objective of this court action was an attempt by R. Yosef Braun to take control over the Vaad Hakashrus (CHK) and its finances. An attempt by the Braun camp to circumvent the courts and ‘bypass their obligations to reappear before the Zablo Beis Din’ was struck down by the court. This motion was in the form of a ‘settlement agreement,’ purportedly between all the parties involved in the lawsuit, saying that all issues ‘have been resolved and settled.’ The court struck this motion down since Rabbi Avrohom Osdoba was in no way part of the settlement. 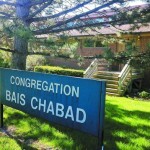 The Braun camp also claimed that Rabbi Osdoba was intentionally not appearing before the Rosenberg Zablo, but the court noted that a letter from Rabbi Rosenberg indicated that all fees due to the Zablo Beis Din had been paid up by Rabbi Osdoba, and that there was no firm date for an appearance before the Zablo Beis Din. One possible explanation as to why the Braun camp attempted to bypass the Zablo process with their bogus ‘settlement agreement’ is: in an email exchange between the Rabbis of the Zablo, they indicated that they are open and willing to address the claims that R. Braun’s Smicha is forged – an issue that R. Braun is eager to avoid. All he’s done is make more trouble. Tznius is the worst ever, and I hope he just goes back to Australia and leaves us alone. When will the kool-aid drinkers get it? Braun is a baal machloykes & a creepy individual, Rabbi Schwei is not with the program, he is used and manipulated by Braun & Hendel because he is really unaware of most things these days and Hendel is truly evil. The only normal & capable Rav is Rabbi Osdoba. You may not like his personality, I don’t, but he is honest & a yiras Shamayim. Clicking on the link bellow you will find a list of all monies the Crown Heights Jewish Community Council, Inc./ Va’ad Hakohol has received via government grants and contracts throughout the years. How and Where was $41 Million Spent By The Crown Heights Jewish Community Council, Inc.? [Have in mind that this list does not include any real-estate (the Buildings/rent collection etc…), this info will be for another day]. DON’T GET DISTRACTED WITH THIS KASHRUT BUSINESS. THE WHOLE ZABLA DIN TORAH WAS ONLY A DISTRACTION. and before that it was because we didn’t have a full Beth Din, and before that it was because of the Hershkops, and before that it was because of Krinsky and Shemtov (Aguch and Merkoz), and before that it was because of Dovid Fischer. The money is all sitting in the CHJCC waiting for all these “issues” to workout. Once these issues are dealt with, only then will the cabal use it to help those in need. Yosef Braun may continue to hold the support of some in Crown Heights, but wide spread respect will elude him forever. He should resign, but probably has nowhere to go to. One ponders, what would happen if the Rebbe zy’a was alive. Lurking behind the seen is Mendy Hendel and his cohorts. The Crown Heights Beis Din is a sad ineffective body. What ‘support’ does he have from some in Crown Heights? Do they give him money? How many “supporters” or those who foolishly voted for him, gave the $180 that irrelevant chairman of the corrupt CHJCC, Zaki Tamir requested three years ago? How many go to his lectures? The only thing that makes these few “supporters”, is the agenda they have. Otherwise they couldn’t care less for him. Braun is just another tool, another distraction. Shvei needs 2 go as well. It was a lot better without him. Amen vAmen. Those two have made a mockery of halacha and are walking Chilulei Lubavitch. #1,2 and three you are abviosly people who hate Rabbi Braun and look for Machlokos He came way after all the problems started and all the politics and he was still voted in. Dont blame the problems of C.H. on him. Most people love him. It is people like you that are the problem. If you have nothing to stay that it positive…. Seyog Lachochmah Shetika. Mr. Braun was voted in under false pretenses. If the community would have been made aware of all his leis and deceit in advance he would have never been considered, let alone voted in. He beat R. Bogomisly by 98 votes, which means that if 49 people would have heard even an ounce of Mr. Brauns problems [no smicha, fake smicha, prepecity for ‘blood instead of sholom’ etc etc] they would have rather voted for someone else, he would not have been elected. So give me a break with this nonsense about being ‘voted in’, he stole the election and should have never been a candidate in the first place. He didn’t run as a Meshichist, which now we know he is. He didn’t run as Mosser lover (Mendel Hendel, Chanina Sperlin, Yaakov Spritzer etc…). which right after the elections became very clear he he was a Mosser lover. The elections were held one week into the summer and on a Sunday. Many Crown Heights residents were upstate at the time. We now know that Rabbi Don Yoel Levy of OK Kosher had an agenda to have Braun elected. The Mossrim brought individuals like Charlie Buttons to vote. Many who voted for Braun are not even part of the Crown Heights community (Anash). Three years later, where are all the people who voted for him? Do they send money? Do they show up at his speeches? What does Braun do for any of our bottom lines? How does he help us with our financials needs (like tuition, putting food on the table, paying rent or mortgage etc…)? How does he help us spiritually? How does he help my children? Stop being a useful idiot for the corrupt cabal who are racking in millions. When someone perverts halacha and leads a community astray, silence is no virtue. There are clear halachos on this (how much can be accomplished by writing on internet boards is another matter). That said, if someone who was a well respected magid shiur who also knows Shulchan Aruch had run against him, he would have lost. If a R’ Levi Wineberg, R’ Y. Shusterman or the Nutei Gavriel been somehow convinced to come to Crown Heights, Braun would have lost without a fight. There are also people of that stature in Crown Heights and it’s important to put up a strong candidate if there’s ever a rematch. This is the Greatness of the Los Angeles Frum Community. There is no elected Bais Din, no 1 is tellin them who has 2 do their chupa or this or that, its Gr8 u could live ur life without all this kinda fighting. I wish CH would b like L.A. L.A Rocks !! Except that Union and Sauer (LA Vaad) are in Cherem – the shtar from a Monsey Bais Din that respects halacha (search for “pinkas beis din” online). But that’s the case with many vaadei hair today, upnei hador kpnei hakelev. No one hates R. Braun, but we all hate the machlokes which he continually instigates. Unfortunately, our beloved community is suffering because of the actions of a few. to take action, remove these people from their positions of power, and save our community and its future– our children. I know that this is a nice speech, but I would love to hear realistic suggestions as to how this can be accomplished. email me and ask me and I’ll guide you. You’ll have to do so with your real email with a real name. Don’t you see the machlokes follow Braun.. in Sydney he caused issues. and now in Crown Heights.. while yes maybe issues were there.. but he add ALOT fo fuel to the fire instead of trying to put them out! The only real way Ch can ever move forward is by instituting the following few steps. 1. All current Rabbi’s should understand that the only way the community will unite is if they all resign. Regardless of blame just walk away. 2. Everyone and anyone that had anything to do with the Vaad Hakhol in the last 30 years should commit to stay away. They should not be “advisers” “political liaisons” etc… They are causing the community as a whole more harm then good. 3. There should be new elections for everybody with the condition that if you were ever associating with anything vaad hakhol related you can NOT run. 4. The new Rabbis should have a long term but not a lifetime appointment. i.e. 15-20 years and then they can not run again. And, the farce goes on–and people wonder why outsiders mock Lubavich and Chabad!!!! Boruch Hashem there is an Eibishter that runs this world. The rest are just puppets. As you correctly wrote, Rabbi Braun won by a mere few votes – and he was brought in by Drizin/Hendel for just that purpose. THANK G-D!!!! Otherwise, Rabbi Bogomilsky would have won and he certainly didn’t need the headache. He only agreed to be on the roster because many in the community pleaded with him to. He is intelligent, honest, and compassionate and having worked with both Rabbis Schwei and Osdoba could have with Hashem’s help made peace between the Rabbanim. That alone would have caused the resolution of loads of CH’s problems. CH as a community didn’t/doesn’t deserve him as their Rav. For those individuals that respect him and do, they know how to reach him. I don’t know who you are, but kol hakovod! As far as my family is concerned, we can’t eat from them while they are under Braun’s “hasgacha.” I only eat at places certified by reputable Kashrus agencies headed by REAL Rabbis. me too. I used to love Kingston Bakery. Oh well. The real problem lies with Rabbi Heller!!! He was voted in by the Rebbe & by the shechuna. If he would have stayed as Rov non of this would be going on. Don’t give me any stories that he left because of his wife. When he wants to he answers people. The only issue that he has is with is eye sight and cant paskin hilchos nidda. IF YOU WANT TO BLAME SOMEONE BLAME THE CORRECT PERSON. Which Rov gave Rabbi Heller permission to abandon ship?????? just stop commenting until everything that still needs to be resolved, it’s resolved by Rabbi Rosenberg Bais Din, and that will be exactly what Hashem Wants. please both sides decide now that no matter what you think it’s right, you will accept Rabbi Rosenberg psak as final, as Hashem s will and no more machlokes. enough is enough, and the meaning of enough is enough is for both sides, basically after the next psak should not be anymore sides but one United community period. Since when is Rosenberg Hashem? Why should we accept his so-called “psak”, when we see what he’s done so far? None of us ever signed any shtar borerus, so we are not bound to accept him, and are free to say what’s obvious: that he’s bought and paid for and at the end of the day will “pasken” what his client wants. #34 it’s by far the best comment. Everyone needs to agree that as soon as the psak from The Rabbi Rosenberg Bais Din will come out, everyone will follow it whether we like it or not. BREAKING>>> RABBI Yosef Yeshaya Braun Finally Has Smicha (Ordination). RABBI Yosef Yeshaya Braun can finally show that he has Smicha. Rabbi Braun received his Smicha from the Supreme Court of the State of New York. signed by the Hon. Justice Karen B. Rothenberg, On the 15th day of October. I am a strong supporter of Rabbi Osdoba, for many reasons, not the least of which is that i was his talmid many years ago. NONETHELESS, Rabbi Braun is a Talmud Chochom and, al pi halocho, is entitled to a certain amount of respect, regardless of his politics of his messianism. Please bear in mind all the harsh things it is written about the zilzul of talmedei chachomim. As far as the Smicha issue goes, I am willing to bet that of all the people that are making such a major issue out of it, 95 % have no idea what smicha is, how it originated, etc. So while it may be legitimate the raise the issue of smicha, it certainly does not detract from Rabbi Braun’s learning, and it absolutely does not give a heter for the way people speak about him. The “smicha” issue has nothing to do with his learning. Even if he had gotten 100 smichos the day AFTER the election, he would have still been unqualified to be a candidate in the election on the day of voting. Secondly, IF he indeed forged his famous “ripped” smicha, no amount of learning could make up for the such character deficiencies. The Rozenberg beis din will ultimately have to take these matters up. The problem is that people ascribe the title of “Talmid Chochom” willy nilly. It says that someone who’s learned and who doesn’t follow is not supposed to be respected at all. Aside from that, no one today is on the level of a Talmid Chochom. 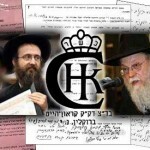 Rabbonim need to be respected if they follow Torah. When they make up their own stuff, are known baalei machlokes bein odom lachaveiro and bein ish lishto, they are afforded no respect, al pi halacha, and in cases of bein ish lishto, have no chelek in olom haboh. HaRav Osdoba is a yirei shomayim. One can always ask meiheichan dantuni, and he’ll answer. Braun and Schwei are very different stories. The Frierdiker Rebbe said about America that there are a lot of “rah bonim” (bad sons – a play on American “rabbonim”). Reb Volf Greenglass O”H taught that a Talmid Chochom is teitch – a “talmid” of “Chochma Eelo” “un nisht vi heint vi mruft on yeder einer vos ken geben a shiur a talmid chochom.” He also said “rabbi, rabbi, rabbi iz di alufei Eisav” (each one is mentioned in Chumash with a title before his name – something found only by them). Hopefully this is enough lehasir es hamichshol l’rabim. Braun and Schwei are entitled to no respect as far as “rabbonus” goes. Shveis secretary causes tremendous machlokes. #1. why would you say this, from where do you gather he’s a Talmud Chachom? Give an example of some Braun Chochma? #2. So what if hes a “Talmud Chochom”? Just because someone knows how to learn he gets a pass for being a scum bag (a lair, a cheat, a Mosser lover, a Ba’al Machlokes etc…etc..)? I’ll go as far as betting that 100% of the people that voted for Braun have no idea what smicha is, how it originated, etc. obviously. After all they did vote for a guy that doesn’t have it. tell braun to take his “smicha” and wipe his “braun” behind. u r same trash as 39 for posting this rubbish. shame on you. השאלה היא איך יהודי וחסיד יוכל להכנס לחנות. . או לתמוך באיזה רב שיעני נותן הכשר ושהולך לבתי משפט . שהפושעים האלה הם מובילים אותם.? הבנתם מיסטר בראון והרב שווי קצת בושה עצמית מי הם האנשים המקיפים אותכם,? לא עשיתם כלום במשפט השומרים, בעצם חוץ מללבות את האש . ושפיכת דם ,מה אתם עושים לטובת הכלל ? We don’t know what goes on between the Rabonim, and even if we did, who are we to judge who’s right? Both Rabonim have a point, and we have no business siding with one Rov over the other. #39. you need to be removed from this posting. That is just not a jewish comment. Disgusting and inapproppriate. #38: you must have been a drop-out. There are goyim who are more respectful than you. You may not want someone in their position,but don’t you even see that your comments only serve to lower our standards? who needs this? Enough, how do you live with those thoughts in your head. Clean your brain out, and then go to neshama level. to #44 if braun is in position any longer,and you will have personal dealings with him, then you will be able to comprehend the damage he has done in this community. i reiterate, he is someone who is poshut a tzu ge kuminer who does not belong in our neighborhood, we should have an emergency election ,and get him out of town before he causes even more damage chas vsholom. Again I remind the public. Braun is just a tool. Getting rid of Braun is just cutting off a branch to a big tree. The people that need to be destroyed are those who brought Braun to Crown Heights, they are the puppet masters. They are (to name a few), Yaakov Spritzer, Mendel Hendel, The Sperlin family and Co.
Tzvi (the Hebrew comment above) writes something very interesting and true. All those who are “behind”/Controlling Bruan and currently fighting against Rabbi Osdobo are the very same people who 15 years ago were screaming and lynching innocent people in the name of “Kovod Ha’Rabonim” for Rabbi Osdobo. Now these very people are the ones who are fighting neck to neck with Rabbi Osdoba. G-d almighty does not remain a Ba’al Chov (Debtor). Rabbi Osdoba is now suffering as a result of his participation in the lynching innocent people and so will Braun ans Schwei suffer from these same people.